Check out the authentic poster that was used on the set for the production of "PULP FICTION"! Item # 220216166729 on eBay. This item was a set dressing dept. created prop poster used in THE GOLD WATCH, the Bruce Willis segment. This very poster is used with several others like it to adorn the walls of the boxing arena Willis is leaving at the beginning! The poster is a major, original, and ultra premium movie artifact that was made, and used for the production of "PULP FICTION"! IT IS NOW UP FOR ALL TO HAVE A CHANCE TO ACQUIRE IT FOR A ONE RUN ONLY OFFER AVAILABLE TO WIN ON E-BAY! AND BEING RUN AT A SPECIAL, LOW PRICE--EXCELLENT DEAL! 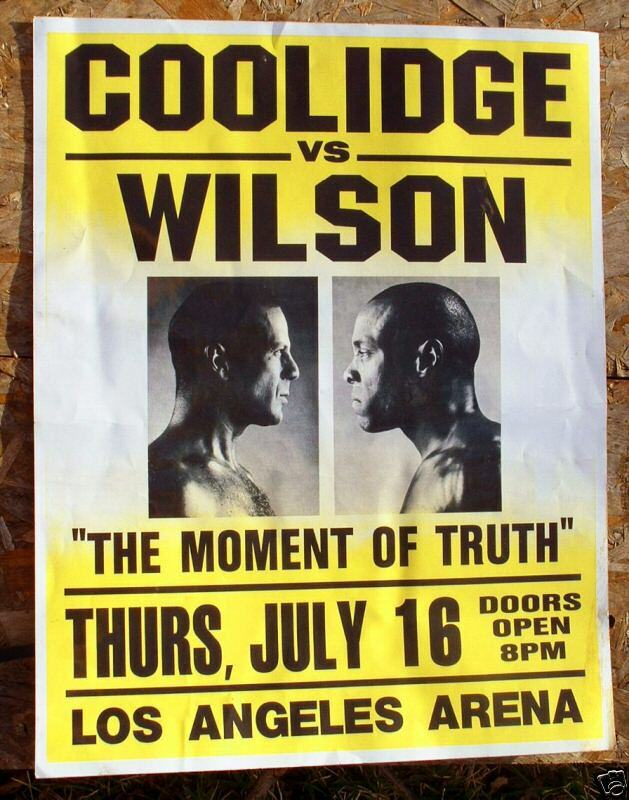 PULP FICTION,On Set USED PROP BOXING POSTER! MAJOR ITEM! A winner of a major collectible indeed, and one from this ultra cool Tarantino epic! Just thought y'all here would want to know. Did anyone buy it? $500 seems like a lot of money but these things go up. That is one awesomely authentic poster! One would think that cool posters like this one would be selling at poster world or other poster outlets. It does'nt have to be an original to look good on my wall.